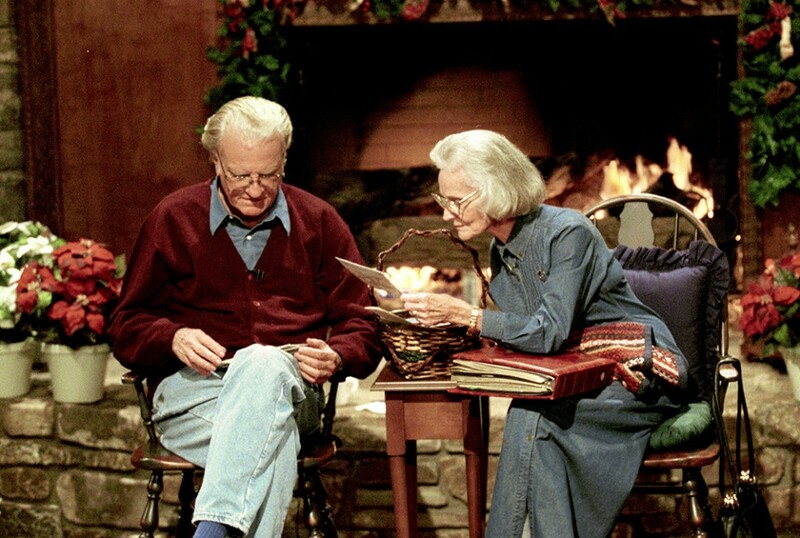 This Valentine's Day, we're celebrating two college sweethearts who loved God and each other for over 63 years. 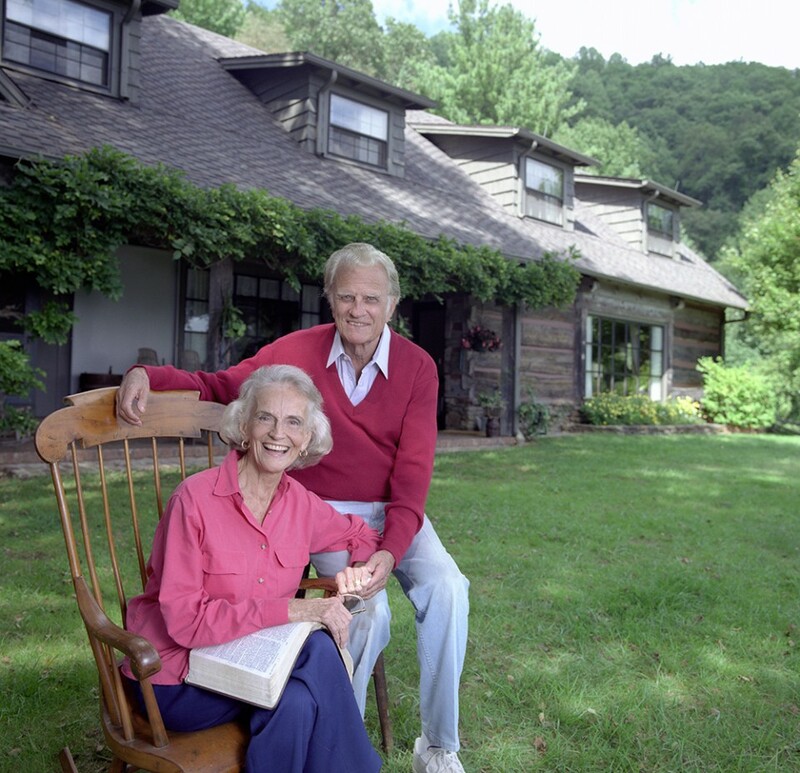 While Billy and Ruth Graham both traveled the world, spending time at home was always important. 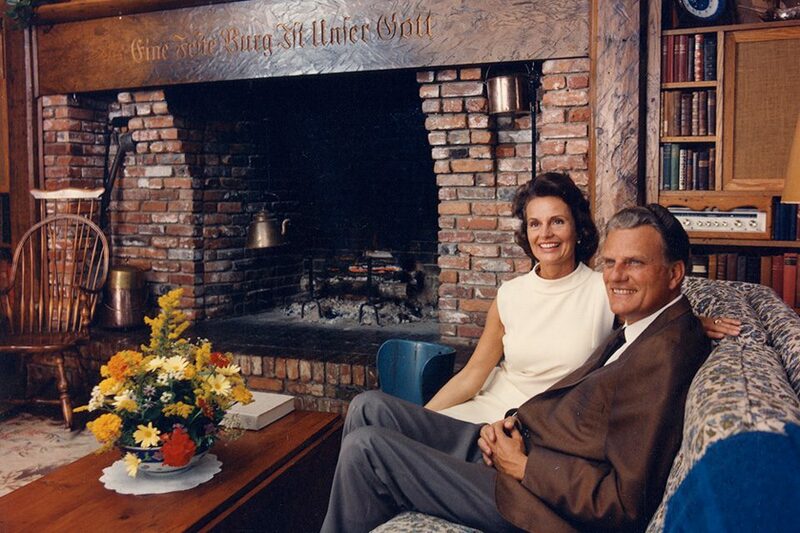 The mantel behind them bears a German inscription that reads, “A Mighty Fortress Is Our God.” Their home was dedicated to God, and this phrase was a powerful reminder. 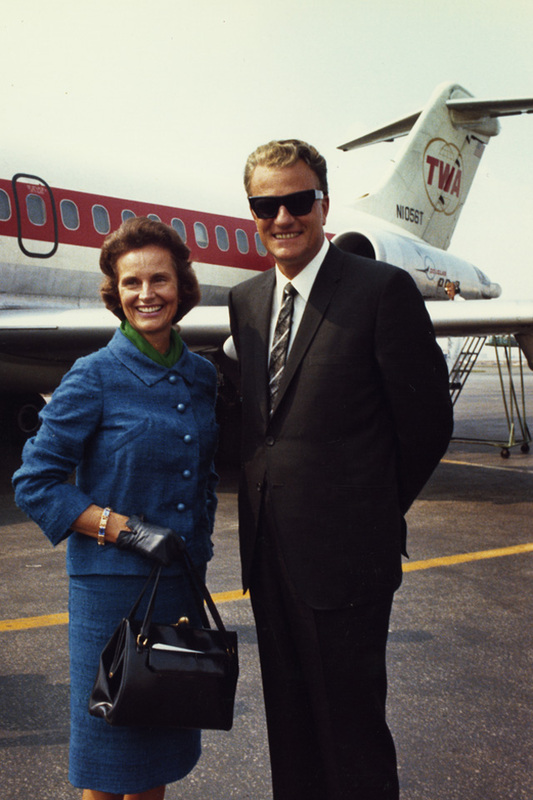 "Without Ruth's partnership and encouragement over the years, my own work would have been impossible," Billy Graham once said. "We were called by God as a team." 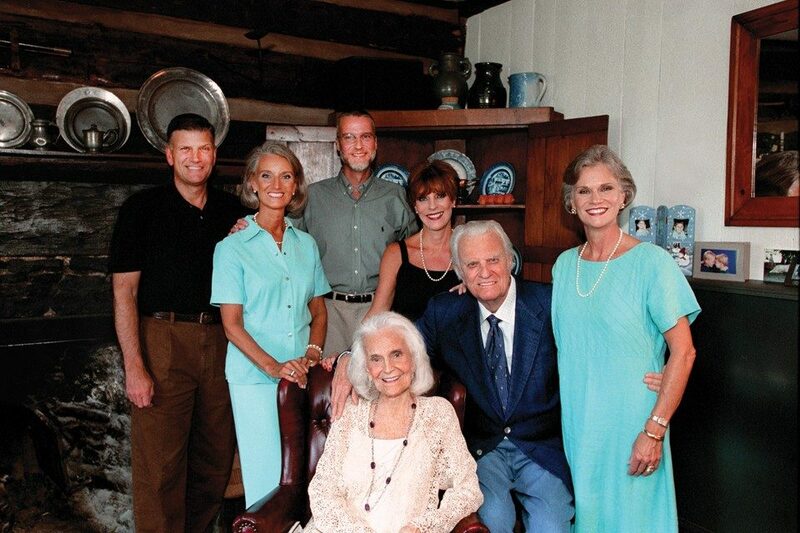 A family gathering in 2003, four years before Ruth Graham passed away. "You have your children for a few short years," she once wrote. "Train them before the time is gone." 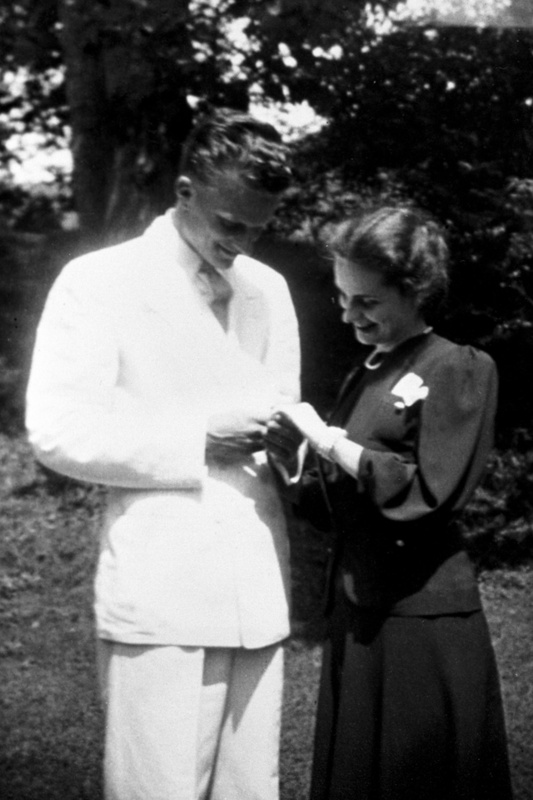 After Billy asked Ruth to marry him, he got a letter in the mail postmarked July 6, 1941. He was preaching in Florida at the time and later recounted that day: "One of the first sentences made me ecstatic, and I took off running. ... 'I'll marry you,' she wrote. ... That night I got up to the pulpit and preached. When I finished and sat down, the pastor turned to me. 'Do you know what you just said?' he asked. 'No,' I confessed. 'I'm not sure the people did either!'" 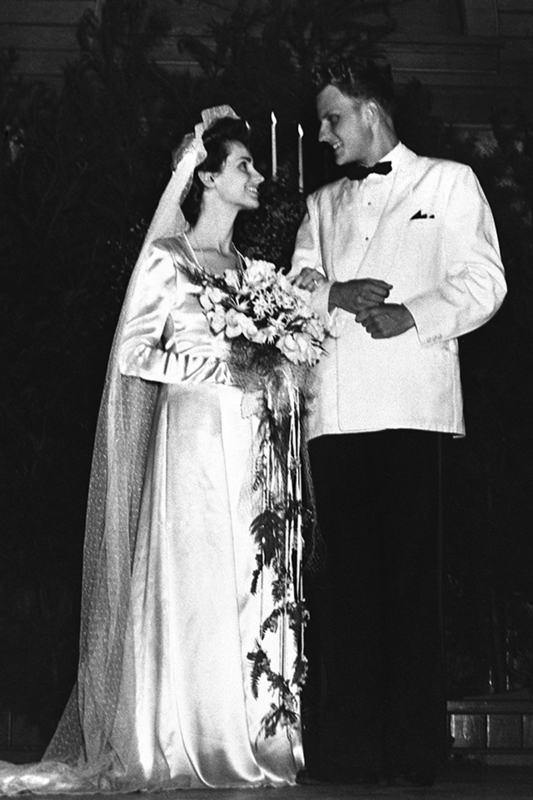 Billy Graham and Ruth McCue Bell were married on Aug. 13, 1943. Ruth made her own wedding dress with the help of a local seamstress. To avoid wrinkles on her wedding day, she stood as best she could in the back seat of her father's car on the drive to Gaither Chapel. Ruth traveled with Billy when she could, meeting all kinds of people—from world leaders to disaster victims. Many commented on her wit and gracious spirit. 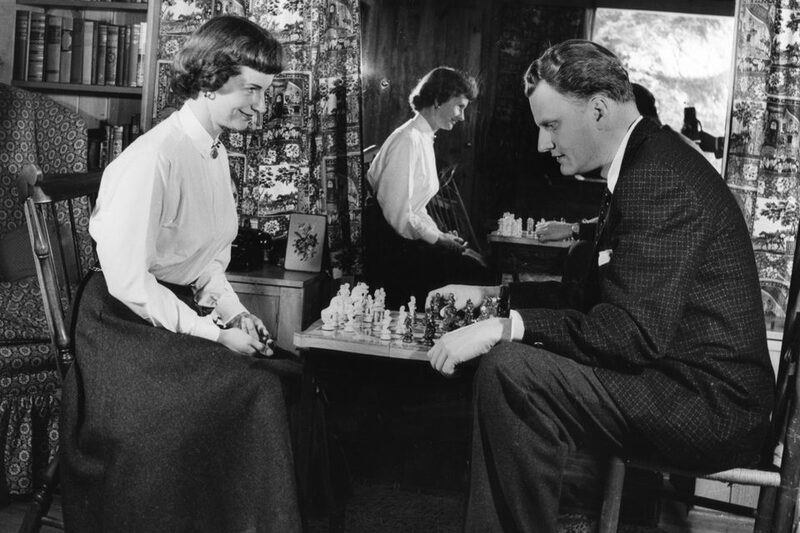 Ruth once remembered seeing a young Billy Graham go flying past her during her sophomore year at Wheaton College. After hearing him pray during a prayer meeting, she thought, "There is a man who knows to Whom he is speaking." 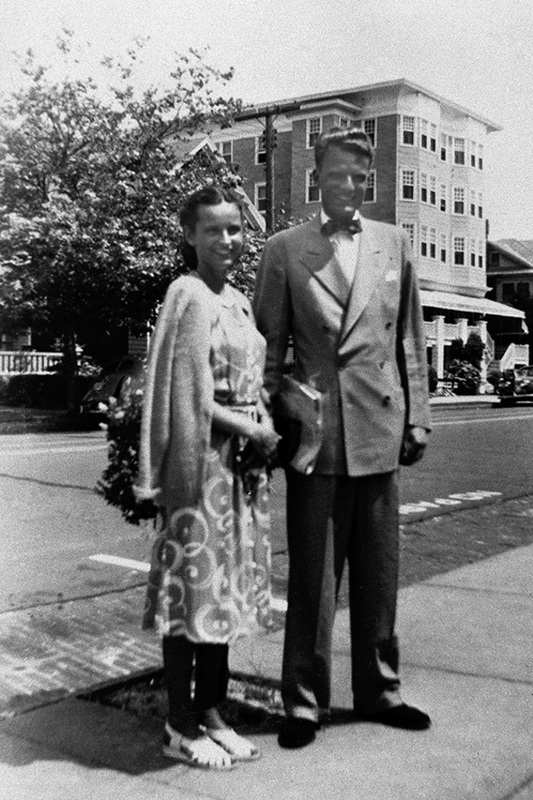 As newlyweds, the Grahams enjoyed walking to the church Billy Graham pastored in Western Springs, Illinois. 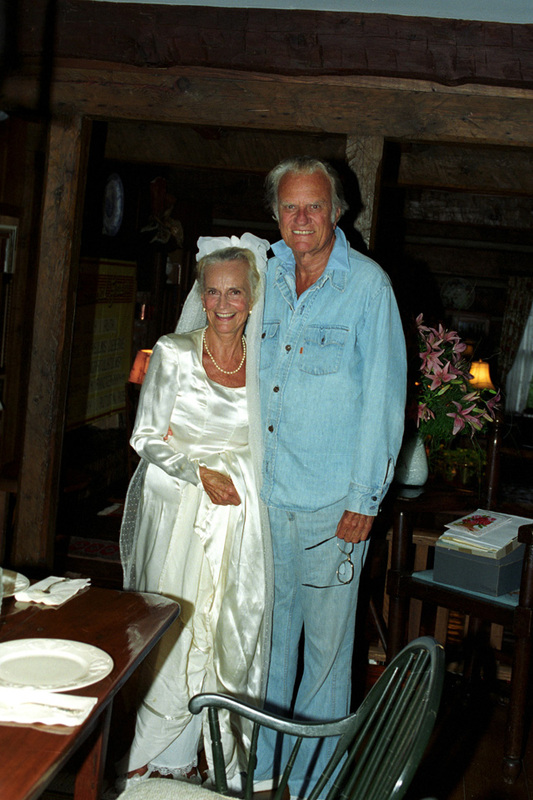 Billy and Ruth Graham celebrated 50 years of marriage in 1993, and Ruth tried on the handmade dress she wore as a young bride. A friendly game of chess. 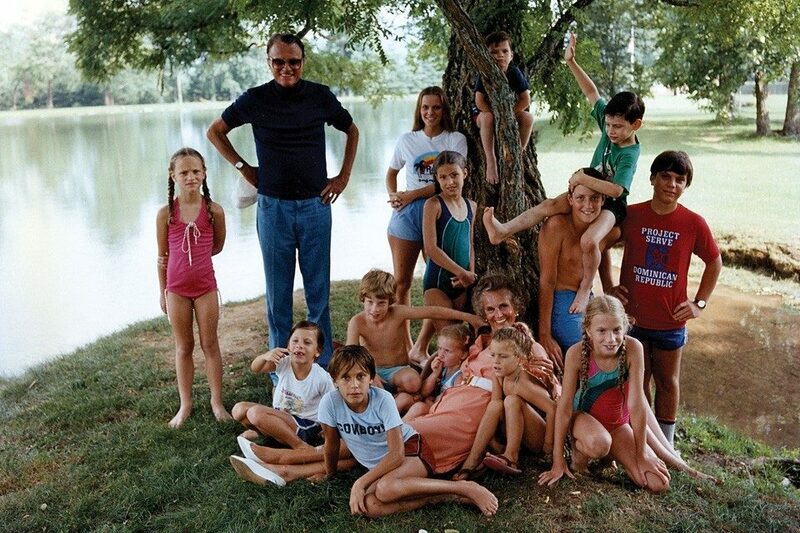 The couple taking a short break with 13 of their grandchildren in 1982. "Your attitude to God, your husband and your family must create an atmosphere of love, appreciation and encouragement which every family needs," Ruth Graham once said. Quiet moments were rare so the Grahams cherished their time together at home. 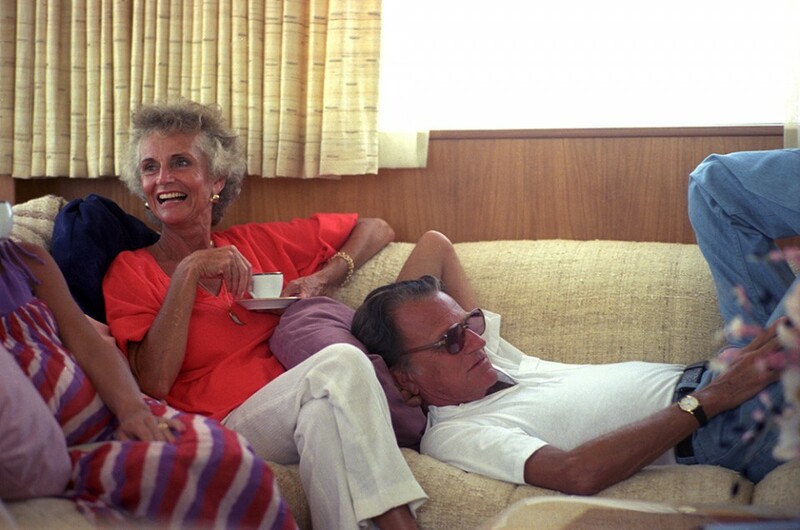 "I cannot keep up with the man," Ruth Bell Graham once said. "In fact, taking me on a Crusade is rather like a general taking his wife to battle with him. 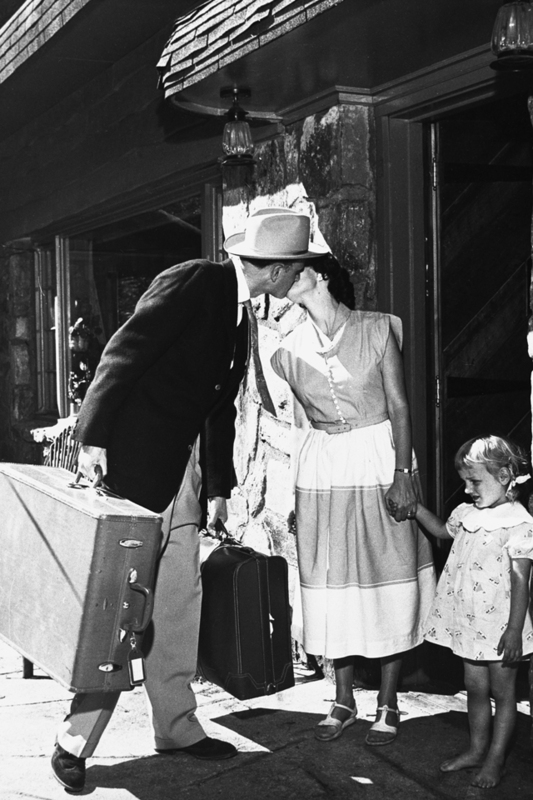 Our happiest times together are at home or on vacation." 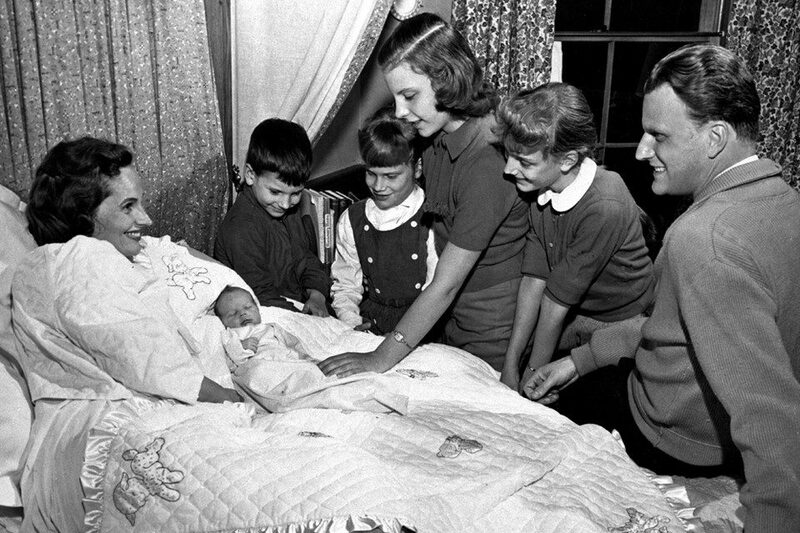 The fifth of the Grahams' children, Ned, at only four days old. From left to right: Franklin, 5; Ruth (Bunny), 7; Gigi, 12; and Anne, 9. The college sweethearts at their home in Montreat. Their daughter, Anne Graham Lotz, once said, "They set the tone for our lives by the way they lived theirs. Their depending on God was obvious—Mother's light would be on late at night and early in the morning as she studied her Bible and prayed. And Daddy, even though the world acclaimed him as a great man and so many sought him for advice, would still get on his knees and humbly ask the Lord for His guidance. Through all of this, we learned that seeking God was not a sign of weakness, but a sign of strength." 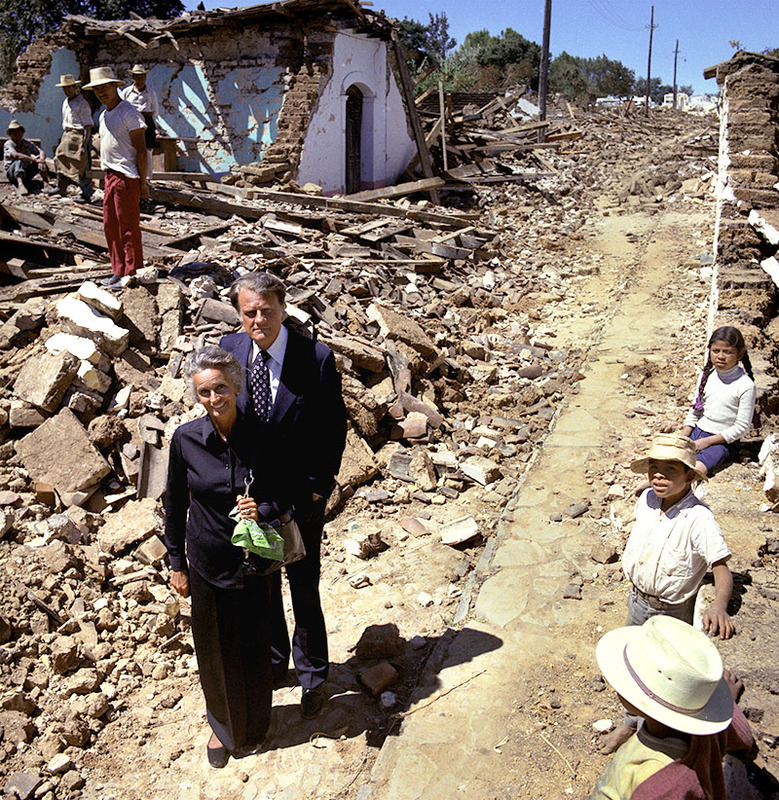 In 1976, Ruth accompanied her husband to Guatemala, where a 7.5 earthquake killed 12,000 and rendered a million people homeless. The Billy Graham Evangelistic Association chartered jets to deliver food and medical supplies. 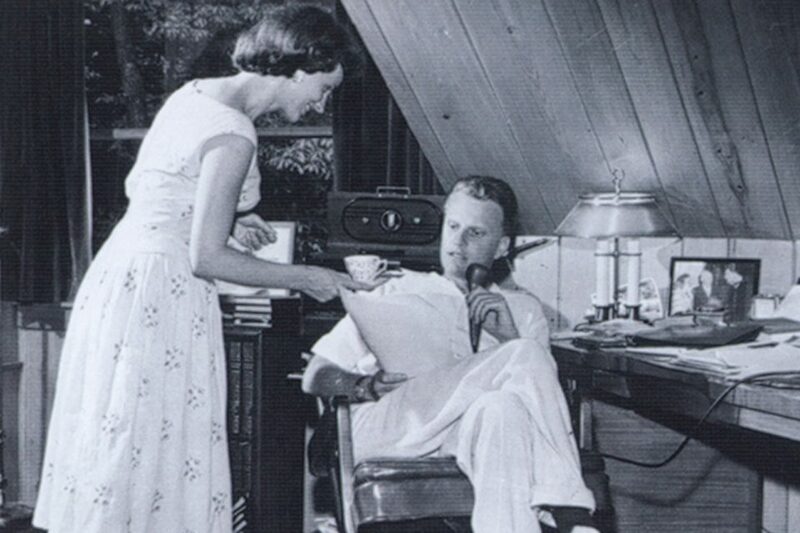 Billy Graham considered his wife his greatest spiritual adviser. “When it comes to spiritual things, my wife has had the greatest influence on my ministry,” he said. 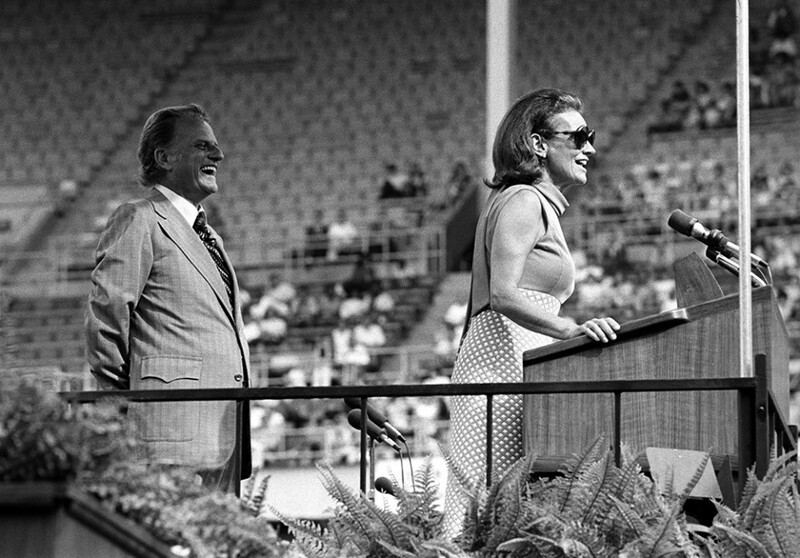 Here, Ruth speaks during the 1972 Cleveland, Ohio, Crusade. Franklin Graham once said, "I guess one thing that has always impressed me over the years has been the humility of my parents and their deep integrity. They were always careful not to do anything that would hinder the Gospel." 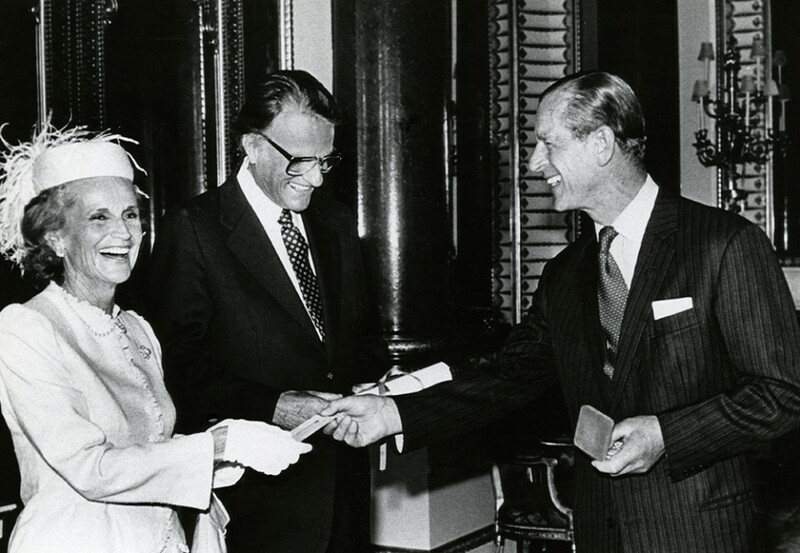 Ruth Bell Graham proudly smiling as Billy Graham received the 1982 Templeton Foundation Prize for Progress in Religion at Buckingham Palace. 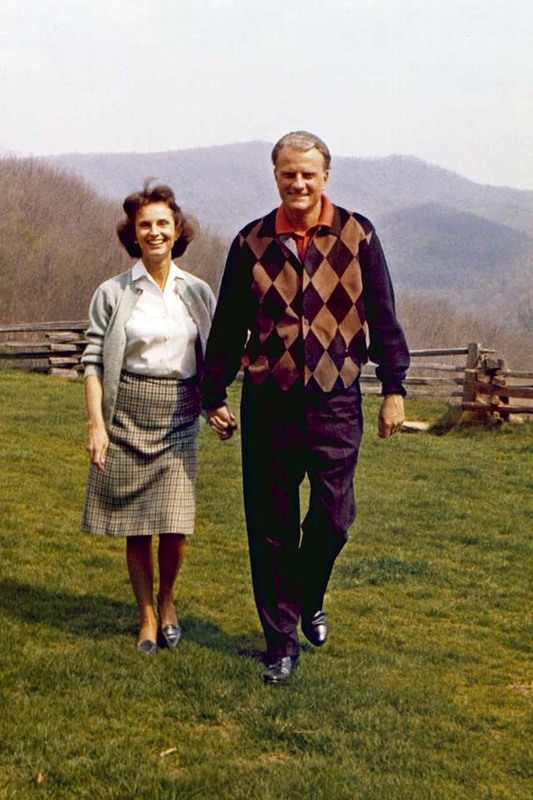 “Ruth and I don’t have a perfect marriage," Billy Graham once said. "But we have a great one." Mrs. Graham went to be with the Lord on June 14, 2007, after more than 63 years of marriage.